I received a question recently by email. Upon thanking the sender, I received an auto-response that the owner of the email had died … five years ago! I wish the story had ended here, mystery unsolved, so I could imagine that this column has fans in the great beyond. However, the email response had an alternative email contact of the brother of the deceaased, and after some investigation the brother determined that a friend had unauthorized access to the account and had used the account to send the question anonymously. We at Ethics and Religion Talk appreciate your questions, even those that come from beyond the grave, and I assure you that and we will always protect your anonymity. Send questions to [email protected]. A question submitted to an interfaith panel on approaches to hospice care: What is your faith tradition’s perspective on the use of hospice services? “Recently my temple pastoral duties included walking with a devotee on his final journey. He was a man of great faith and, more important, spiritual practice. He was a joy to be around until the very end. One of the ways he wanted me to contribute to his last months was to meet with him and his hospice caregivers. He knew that I could explain Hindu concepts of death and dying in a way they would understand. The care they provided was exceptional. They were very respectful of our requests and seemed to serve with a great deal of love and sense of duty. “I experienced the same when my mother was in hospice. “Hospice services are often referred to as palliative care. The Roman Catholic Church looks favorably on these services if they are not intended to end life before death occurs naturally. The palliative care given by hospice services respects the life cared for by providing the necessary medication and comfort needed during the dying process. This has the positive benefit of saving significantly on the cost of healthcare per person in the United States. “The doctrinal standards of Presbyterian and Reformed Churches make no mention of hospice care, because in former days, ‘heroic efforts’ to prolong the days of the dying were not a part of their care. ‘Hospice care’ is not new, but something old that has been rediscovered for the comfort and help of a new generation. “Life is a gift from Almighty God, and it must be protected and safeguarded with all means and sources available to humanity by God. Life of this world is for a certain time. It must end as commanded by God. Therefore, it must not be prolonged beyond possibility of hope. 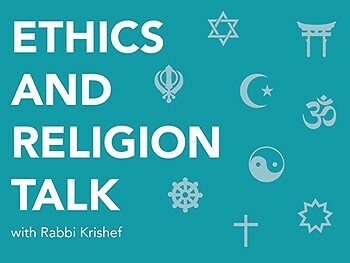 Jewish ethics understands there to be an obligation to preserve life, but not to artificially draw out the process of dying; understands that the patient has autonomy to make medical decisions in his or her own best interests; understands that no one has an obligation to suffer pain at the end of life. Therefore, Jewish ethics and tradition understands that hospice care is typically the most appropriate and compassionate care for relieving pain and allowing the patient to die in peace.